Editor’s note: Finding joy in life’s small moments brings purpose and power to each day – and God wants us to unpack each of these small acts of faithfulness into something bigger. 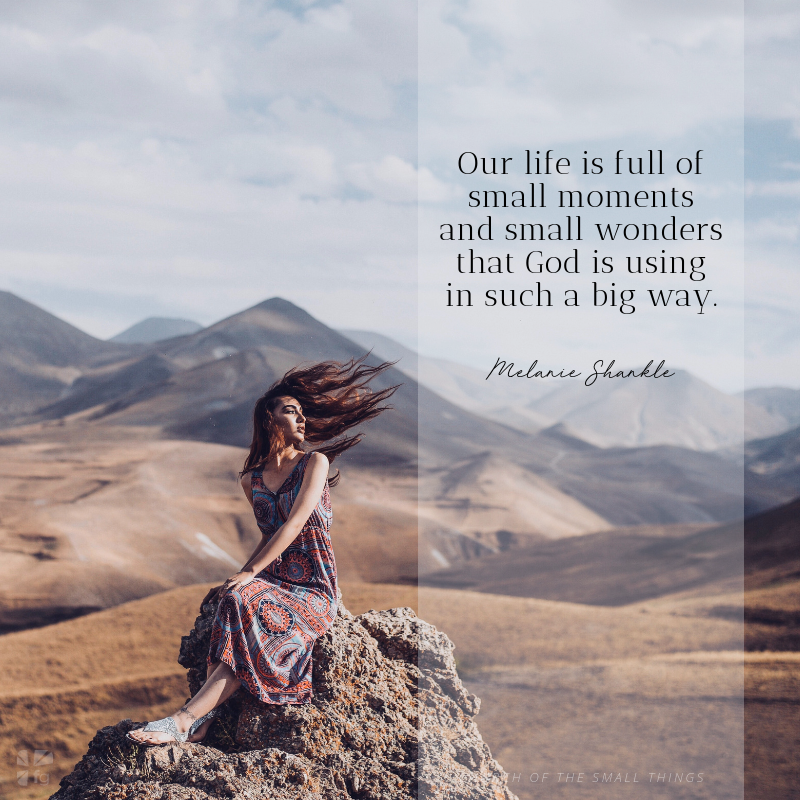 Read this excerpt from Church of the Small Things by New York Times bestselling author Melanie Shankle and learn how a family dinner conversation in the Shankle household sparked a new chapter in God’s plan for their lives. In one form or another, I grew up in the church. Some of my earliest memories are sitting in a pew while squinting my eyes to purposely distort all the stained glass images for my own amusement. I’ve always been a little bit aware that church, or “the church,” as people like to call it, is a flawed institution at best, which only makes sense given that it is essentially a human execution of what God had in mind. I have laughed at preachers who slam their Bibles on the pulpit as they promise “hellfire and destruction” in a dramatic fashion, I have cried over hypocrisy among church members, I have imitated bad youth group skits where the best looking boy in the group always plays Jesus and is always so sad at the portrayal of someone at a keg party, I have wrestled with guilt over my lack of desire to serve in children’s ministry, and I have wondered endlessly why we sometimes just repeat the same chorus over and over again during worship. But at the heart of it all, I love church. With all its failings and shortcomings and inadequacies, I love the hearts of the people who jump in and do their best to serve and love and follow the heart of God. Until a year and a half ago, Perry and I attended the same church since Caroline was less than a year old. It was a church we’d had ties to long before that, and it was a great place for us for all those years. We were involved with different ministry groups, learned so much, made new friends. There was a time when I couldn’t imagine we’d ever leave to go anywhere else. But then something began to shift. At first I thought it was just my own issues, but then one night Perry and I talked about it and realized we were feeling the same things. I can’t even tell you what the exact feeling was other than just a little bit of restlessness regarding church that we hadn’t experienced in a long time. So we began to pray about it and agreed to see what happened next. What happened was that Caroline moved up to the junior high youth group and began to enjoy church more than she ever had during the days of elementary Sunday school. We agreed that was the most important thing and decided it meant we should stay put. Then, a few weeks later, the youth director sent out an email informing parents that the youth group would no longer meet on Sunday mornings and would meet on Wednesday nights instead. 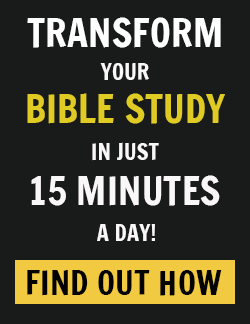 That schedule wasn’t going to work for us because the church is about a thirty-minute drive from our house on a Sunday morning and takes even longer when you factor in weekday traffic. Then Caroline admitted that she never really got to know the other kids because none of them were from our neighborhood or attended her school, and what she really wanted was to go to church closer to home. 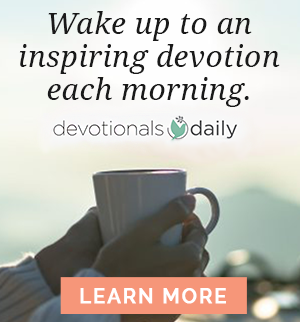 I remember hearing Priscilla Shirer tell how a mother eagle begins to shake her nest when it’s time for her babies to start flying, and I believe that’s what was happening to us. Our familiar little nest was being shaken because God was calling us out of our comfort zone. It was one of those times when you’re either going to allow God to help you fly, or you’re going to fall flat on your face. I have chosen the latter more times than I care to admit. As we talked about it one night over dinner, what became clear was that all three of us had a desire to attend church in our neighborhood, with the people we go to school with and grocery shop with and see every day. We live in a small community in the middle of San Antonio, and it tends to feel like a small town. We had no doubt God was calling us to be a part of something right here and not thirty minutes away. Our hearts were increasingly drawn close to home. The problem was, we weren’t sure there was a church that would be the right fit for us. What? No. Just no. I am not a church plant kind of person. I am not organized. I am not overly spiritual. I have never won a Bible drill contest. I have never even sung in the choir, unless you count my brief stint in Mixed Choir in seventh grade, which sounds much more impressive when I tell you that we sang “Human Nature” by Michael Jackson, complete with extensive hand motion choreography. So I did the supportive mom thing by essentially patting Caroline on the head and saying, “Aw, that’s a sweet idea,” while everything inside me was screaming, “PLEASE GOD DON’T MAKE US START A CHURCH! I DON’T WANT TO START A CHURCH!” I knew Perry was thinking exactly the same thing by the way he looked at me across the table. But it was one of those small things — you know, those things — that just burned a hole in my heart and I knew — I KNEW — even though I ignored it, that there was something to it. Out of the mouths of babes and junior high kids and all that. We spent the next six months after Caroline’s declaration visiting different churches in our neighborhood, but none of them seemed right for us. The majority were very traditional, and we just aren’t traditional church people. Here’s the thing: church preference is such a personal decision. I mean, Gulley and I have never gone to the same church, and she’s my best friend and we basically agree on everything, so that’s how personal and unique church is to each person. I don’t see the fact that we didn’t find a good fit as a reflection on any of the churches in our neighborhood as much as the fact that God wanted to create a new, different space. I knew He would eventually wear us down, because Perry and I are ultimately suckers for what God calls us to do, even when we resist at first. Perry and I began to watch all the pieces fall into place. Pieces we’d always cited as the reason we could never start a church. Where would we find a good worship leader? Where would we meet? What about the fact that neither of us wanted ministry to be our full-time job? Would anyone even want to come to a new church? What about how I like to sleep in on rainy Sunday mornings? All those things just seemed insurmountable. I realize now that all of this sounds ridiculous because, well, GOD. It turns out He means it when He says He will do more than we could ask or imagine (Ephesians 3:20). That’s why it’s more than you can imagine. Because you can’t imagine it. Excerpted with permission from Church of the Small Things by Melanie Shankle, copyright Melanie Shankle. What are you wrestling with that you know that you know that has God called you to do? What is it that seems impossible and yet God’s Word says He will do more than we could ask or imagine? Come share with us on our blog. We would love to hear from you!